As a season ticket member with Boca Raton FC, you are a valued and important part of our organization. To assure prompt and efficient response to your requests and needs, we kindly request your compliance with the following policies and procedures. By sending us payment for season tickets, you indicate your willingness to comply with these procedures. Please read this information carefully. The terms “season ticket member,” “permanent rights holder,” “entity” and “contact name” are collectively hereinafter referred to as “season ticket member. Boca Raton FC owns and controls all rights to seat locations for Boca Raton FC home games at the Ted Hendricks Stadium. A purchaser of season tickets obtains a license, in the form of the ticket, to use the seat location at the Stadium designated by the ticket. Boca Raton FC in their sole and absolute discretion may revoke this license at any time upon refunding the purchase price printed on the ticket or at any time upon misconduct by the season ticket member, without refund. This license is granted on a game-to-game basis, and is subject to all rules, regulations and policies relating to tickets as established from time to time by Boca Raton FC, the Stadium and the American Premier Soccer League. The decision to offer a partial ticket plan and the composition of such plans will be made by Boca Raton FC from time to time in their sole discretion. For purposes of these Policies and Procedures, a Full Season ticket member is defined as having purchased all home games at Ted Hendricks Stadium or a prorated portion thereof. A Partial Ticket Plan is defined as having purchased a ticket plan consisting of a portion of home games. Boca Raton FC reserves the right to change the games included in partial ticket plans from year to year. The season ticket member is the permanent rights holder (whether person or business) on the original application for tickets, and that person or business is assigned an account. If the season ticket member is an entity, a contact name must be provided to Boca Raton FC. The entity may request a change in the name of the contact person for its account. A request to change the contact person of an entity must be submitted to Boca Raton FC in writing on company or entity letterhead and signed by an authorized officer. Season tickets should be paid for by check or credit card. If a third party payment is accepted by Boca Raton FC, such acceptance shall not give the third party any season ticket member or renewal privileges, or cause or require Boca Raton FC to change the name of the season ticket member on the account. Boca Raton FC will treat the season ticket member as the purchaser of season tickets in such circumstances, including for purposes of season ticket renewal. Season ticket members are prohibited from transferring the seat locations designated by their season tickets to any person, whether by a request to transfer the account into another name, or by an attempt to transfer the seat locations or the renewal privilege described below by sale, gift, transfer by will or trust, property settlement, transfer to creditors, or any other means. It is important to to protect and reward Boca Raton FC customers by allowing them the opportunity to relocate their seat locations, rather than allowing season ticket members to transfer accounts or sell them to third parties. Therefore, any attempt to sell or otherwise transfer season ticket privileges to third parties will not be recognized by Boca Raton FC and may result in cancellation of all season ticket privileges. Any court order directing distribution of the season tickets to a person not listed as the season ticket member, whether in bankruptcy or otherwise, may result in the exercise by Boca Raton FC of their right to immediately withdraw the license represented by the tickets, including any season ticket renewal privileges, upon refund by Boca Raton FC of all amounts paid for games that have not yet been played. Boca Raton FC generally recognizes two exceptions to the above policy. First, Boca Raton FC will generally allow season tickets to be transferred to members of the season ticket member’s immediate family upon the death of the season ticket member. Immediate family shall be defined as a person’s spouse and relatives by birth or marriage including siblings, parents, children, in-laws, and any financial dependents. A request to transfer season ticket privileges to an immediate family member of a deceased season ticket member must be submitted to Boca Raton FC in writing by the deceased’s personal representative or other authorized representative, and must be supported by appropriate documentation satisfactory to Boca Raton FC. Such documentation may include but not be limited to death certificate, probate and/or trust documents, and proof of relationship. Second, if the season ticket member is an entity, Boca Raton FC will generally allow season tickets to be transferred upon the sale or dissolution of an entity. A request to transfer season ticket privileges of an entity account must be submitted to Boca Raton FC in writing by the contact person for the account, and must be supported by appropriate documentation satisfactory to Boca Raton FC. Such documentation may include but not be limited to corporate resolution, asset or stock purchase agreement, and dissolution papers. Boca Raton FC reserve the right to approve or reject any such requests at their sole and absolute discretion. Boca Raton FC will exercise reasonable efforts to maintain renewal privileges for season ticket members at the Stadium; however, season ticket members are not guaranteed this opportunity. Boca Raton FC will take into account, among other things, violations by season ticket members of rules, regulations and policies of Boca Raton FC, the Stadium and the American Premier Soccer League in deciding whether to revoke renewal privileges. Such violations include, without limitation, any unapproved transfer or attempt to transfer rights to the seat locations represented by season tickets as discussed above. In addition, renewal privileges could be effected from time to time by changes to the Stadium and/or the Stadium seating areas (such as, for example, the elimination of seats and/or damage or destruction to the Stadium or other events or circumstances) as determined by Boca Raton FC in their sole and absolute discretion. Season ticket renewal invoices will be mailed or emailed to the season ticket member the last week of July, subject to the discretion of Boca Raton FC. The payment deadline date will be specified on the invoice and within the renewal brochure. Due to the time required to process relocation requests, accounts not meeting the payment deadline are subject to cancellation. If you do not receive the appropriate mailings, please contact The Client Services Department at (888) 4KC-GOAL. If you do not contact Client Services within a reasonable time, Boca Raton FC may revoke your renewal privilege and your priority numbers for seat locations. All payments received for season tickets are non-refundable and non-transferable. Requests for season ticket upgrade, adding additional seats or relocating, are accepted during the renewal period. Your requests must be indicated via the online account manager or with your Client Services Executive along with your payment. Requests for seating changes will be considered by priority number along with other season ticket members requesting changes. Upgrading or relocation requests should indicate which areas of seating are acceptable. The request should identify the largest possible area that is acceptable for upgrade or relocation. Upgrades or relocations are limited by, among other factors, the actual cancellations that occur. If seats are available in the desired areas when your priority number(s) is reached, your seat(s) will be changed according to the request on the season ticket relocation form and all rights to previously assigned seats will be forfeited. Boca Raton FC reserves the right to adjust season ticket locations at any time without prior notice to or consent of the season ticket member. Such adjustment may take place on a single game basis as needed or may be made for all or any portion of the season. Reasonable efforts will be made to contact the season ticket member prior to any location adjustment. In the event of any such location adjustment by Boca Raton FC, the season ticket member’s sole remedy shall be cancellation of its account. The season ticket member must provide Boca Raton FC with written notice of such cancellation within sixty (60) days after notification of the adjustment. Upon receipt of such notice, Boca Raton FC will refund to the season ticket member any amounts paid which correspond to games not played as of the date which is five (5) business days after notice is received by Boca Raton FC. Tickets for remaining games must be returned to Boca Raton FC in order to receive said refund. A Full Season ticket member has the first opportunity to preview other seating options before adding additional seats, upgrading, or relocating. A season ticket members’ current seat location will need to be renewed prior to the stated renewal deadline by selecting one of the payment options offered to actively participate in the seat relocation event. Fully paid season ticket accounts will receive their tickets approximately two (2) weeks prior to the first game of the regular season. Season tickets will be mailed to the season ticket member. A physical address is required for delivery. Season tickets will not be delivered to a PO BOX address. If any check is returned unpaid, Boca Raton FC or their authorized agent may then debit the season ticket member’s checking account for the amount of the check, a $40 service charge, plus any additional charges assessed by the financial institution as a result of the dishonored check. Payment by check constitutes acceptance of these terms. A returned check also may result in cancellation of a season ticket account in Boca Raton FC’ sole discretion. Boca Raton FC reserve the right to refuse payment by personal check at any time. It is Boca Raton FC’s policy to accommodate as many season ticket members as possible during any playoff games at the Stadium. Season ticket members will have the first opportunity to purchase playoff ticket packages after the requirements of the Office of the Commissioner of the American Premier Soccer League and the organization have been met. Season ticket members will be notified of specific policies and procedures prior to the start of the playoffs. Lost or stolen season ticket card(s) can be replaced only under the conditions set forth by Boca Raton FC management, and only to the season ticket member. Re-printed cards will be issued upon payment of the full face value of the lost tickets. Reports of stolen tickets or cards must be accompanied by a police report indicating the circumstances of the theft. Stolen tickets (with police report) will be replaced without additional charges. If lost tickets are later recovered, a refund of additional charges may be obtained by sending the unused lost tickets and the re-printed tickets to Boca Raton FC Client Services Department, within thirty (30) days after the game for which you required the replacement tickets. Please contact Boca Raton FC Ticket Services (561) 807-6304 to determine eligibility for replacement tickets. It is the season ticket member’s responsibility to notify Boca Raton FC Client Services, of any change of address to insure prompt delivery of tickets, notices and other dated material. Address changes may also be made through your exclusive access to My Boca Raton FC Account on Boca Raton FC.com. If legal game is not replayed or not rescheduled with same ticket valid, the rain check must be exchanged at the ticket office in person by the lawful holder or by mail for a ticket of the same price, if available, for any future regularly scheduled game of the current season. If game is rescheduled NO REFUNDS or EXCHANGES will be issued. The original ticket will be valid for the makeup game. Accepts American Express, Discover, MasterCard and Visa for ticket orders. Checks are acceptable in advance only and may be made payable to: Boca Raton FC. Cash is acceptable for walk-up sales at the box office. All orders will have a processing fee assessed. All sales are final. No refunds or exchanges are permitted. All notices and requests relating to a season ticket account, whether or not described above, must be given in writing by the season ticket member, and sent to the attention of Boca Raton FC Client Services. 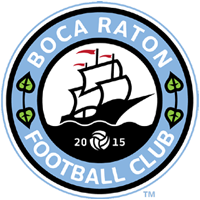 No notice or request will be effective or acted upon by Boca Raton FC until received in writing. All correspondence concerning a season ticket account should include the account number and daytime phone number for the season ticket member. Notices and requests from Boca Raton FC are communicated to season ticket members via several methods, independent of and/or in combination with each other, and include but are not limited to U.S. Postal Service, telephone, e-mail or other social media outlets. It is the season ticket member’s sole responsibility to maintain accurate, current and complete contact information on their Boca Raton FC season ticket account. The ticket buyer permits his or her picture to be taken for all still photographs, videos, motion pictures or television at home or away games as the Club may designate. Ticket buyers permit his or her picture to be used by the Club and League on all writings and audiovisual displays relating to promotional material. The foregoing policies and procedures attempt to cover most situations relating to season ticket members at the Stadium. They do not apply to any games (home or away) played by Boca Raton FC at a location other than the Stadium. In the event any issue or matter relating to Boca Raton FC season tickets is not covered, or if there is a question of interpretation of the policies and procedures or in the event of any dispute between Boca Raton FC and any season ticket member, or any season ticket member and a third party, reserves the right to make all final decisions and determinations and take all actions necessary, in their sole and absolute discretion, to resolve or dispute the issue. Further reserves the right to modify and/or terminate any or all of the foregoing policies or procedures from time to time with or without prior notice to the season ticket members. In order to ensure an excellent experience for all season ticket members, season ticket benefits, including but not limited to, future game exchange program, and special events, are subject to change from year to year or/and within a season.